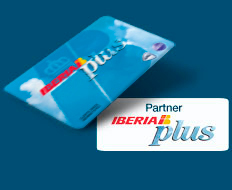 Iberia Plus is one of the three loyalty schemes that use Avios points as their currency. Each of the schemes have their own rules, terms and conditions, and their own unique partners. Even if your main Avios programme is the BA Executive Club, it is a good idea to keep an IB+ account ready for use as well, so you can book Vueling flights, or benefit from occasional cheaper redemptions, etc. You can transfer Avios from your BAEC account into your IB+ account at any time free of charge, providing*: Your Iberia+ account is more than 90 days old, and it is ‘active’ – so it needs to have earned an Avios point, you can’t just open an IB+ account and wait the 90 days, you also need to make it active before or after the 90 days. 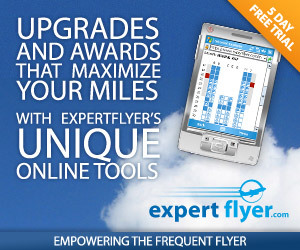 You will probably want to keep crediting your flights to BA ExecClub for earning Tier Points reasons (status points can NOT be transferred between accounts in the different schemes), so the question is how you activate it. You could credit a hotel stay or transfer some hotel points, but that is often a poor use of hotel points. Transferring some Amex MR points or similar can be good, but what if you don’t have them. There used to be a method to get a small number of free Avios by signing up to an online Spanish supermarket Alice.es – but that company has been closed down I’m affriad. But the good news is that something similar has possibly now come along to potentially get 50 free Avios points credited directly to your IB+ account. You can move them to BAEC afterwards, and crucially your account will now be active for transfers in the other direction. Sheffield Centres for language learning have just celebrated their 25 anniversary last year, according to their webpage, each year more than 7,000 students take programs with them in 14 different countries around the world – UK, France, USA, Germany, New Zealand, Australia, Italy, Ireland, Switzerland, Canada, Austria, Malta, South Africa and of course in Spain. They are an Iberia Plus partner for earning Avios points. As you can see from the form lacking a country box, it is designed for people in Spain. But as a company they do offer courses for people outside Spain learning Spanish as well as people learning English. Your choice whether you put a Spanish address in there, or your home one in the UK, etc. No guarantees on this one, I’ve not tried it yet. In compliance with the provisions of Organic Law 15/1999 of December 13, Protection of Personal Data, Sheffield Centre SA informs you that your data will be stored in a file whose owner is responsible and Sheffield Centre SA for commercial purposes. We also inform you of the possibility of exercising rights of access, rectification and cancellation in the terms established in the current legislation, at: C / Velázquez 16-28001 Madrid. Offer not combinable with other offers, discounts or promotions. Offer valid from 15/04/13 to 30/06/13. 50 Gift Avios to request our catalogue through the link above. The Avios will be recorded at the end of the campaign. So don’t expect them until sometime after 30th June. * – When I said you can transfer Avios between your BAExecClub and IberiaPlus accounts, I mentioned the main restrictions on IB+ trasfers. There is one other restriction, if your BAEC account is part of a BA Household Account, you can’t do ‘Combine My Avios’ transfers with IB+. If you have a UK address, there is a workaround using an Avios.com account – the third scheme that uses Avios points as its currency, you can use it as a go-between. If you are not part of a HHA this isn’t necessary. You also need to be over 18 to use Combine My Avios. i would like my correspondance to be email and appreciate this opportunity. Hi, sorry for the delay replying. I don’t understand your question? If you want to subscribe to blog updates by email, enter your email address on the right hand side menu. If you need help with changing your email address that you recieve updates, or anything like that – or if I have misunderstood your question, please justr reply.